Even if your products don't require an export license, there may be restrictions on exporting your products. Several U.S. departments and other government agencies publish restricted party lists (also known as denied parties) with whom you can't do business. Other federal and state government agencies. In addition, Shipping Solutions screens names and addresses against other government lists and organizations like the United Nations and the European Union. 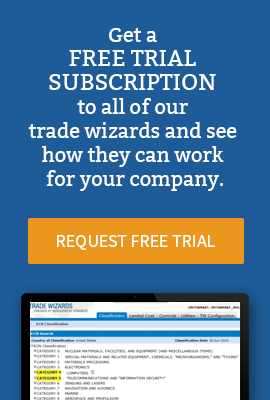 Get a free trial subscription to all of our trade wizards and see how they can work for your company. Shipping Solutions has been our go-to software to make sure our company is adhering to all USA international trade compliance rules and regulations. It makes the relatively complex and intimidating task of compliance easy, especially in a fast-paced environment where speed and convenience are important to get the job done. Shipping Solutions' International Trade Compliance Wizards play an important role in keeping us compliant with import-export regulations. I particularly like the Audit Trail, which makes it easy to keep our screening records up to date.